April 2018, Innovation Social held our sixth Innovation Stories – Innovation Social’s annual Summit. 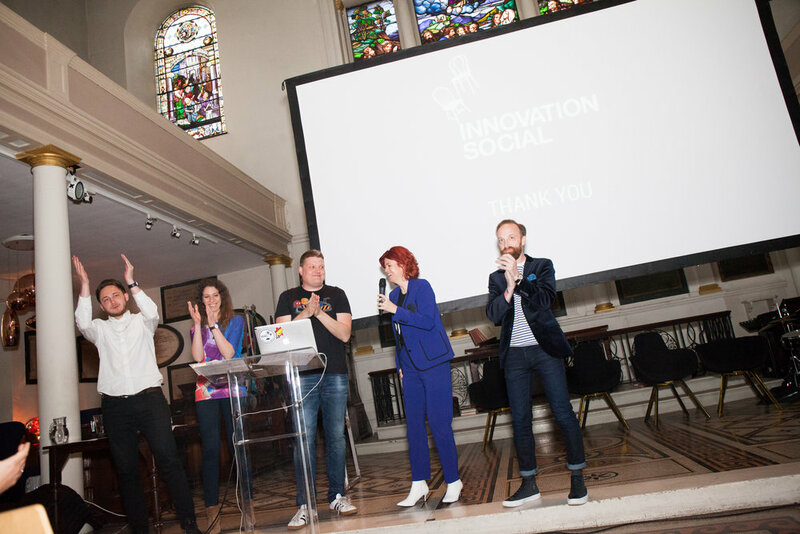 And to celebrate the burgeoning growth of Innovation Social we doubled our capacity and went to the Crypt on The Green and welcomed 250 Innovation leaders and thinkers to worship at the alter of Innovation. Another first, we decided to deep-dive into the world of cross-reality (XR) and partnered with VRLO - the leading XR meet-up - and once the summit came to a close went intro the crypt and enjoyed an evening of drinks and playing with the latest XR tech. A huge thank you to VRLO - you ended Innovation Stories with a virtual bang. There are so many highlights from Innovation Stories 2018 so we decided to prepare a wrap-up film for you to get a flavour of the best bits. Innovation Stories is a unique experience having been described as the only tech conference that is fun and only film can truly convey that.